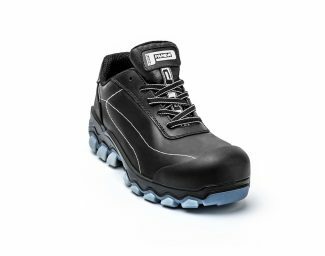 The R&D department of Panda Safety is continually involved in seeking new technical solutions capable of guaranteeing the performance of a wide range of working activities in complete safety, without ever forsaking comfort. 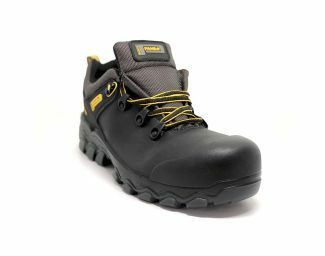 The shoes of the brand new TECHO line represent the maximum expression of technology at the service of protecting the foot. 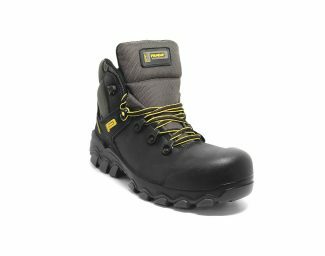 Its sole combines the elasticity of the low density polyurethane midsole with the strength of the compact thermo-polyurethane tread that, thanks to the design inspired by motor car tyres, favours the external flow of liquids or oily substances it comes into contact with, ensuring maximum adherence and thus preventing any risk of slipping. 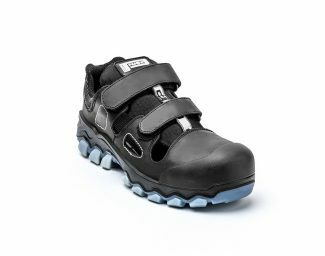 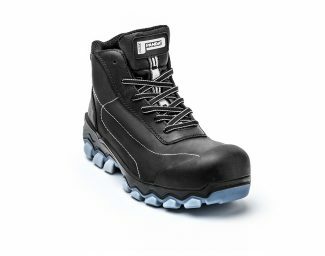 The qualities of this line become even more evident if we take a look at the other components and raw materials, like the full grain leather of the upper, the internal mesh lining with microchannel technology for optimal transpiration, the puncture resistant plate and the ultralight composite material safety toecap. 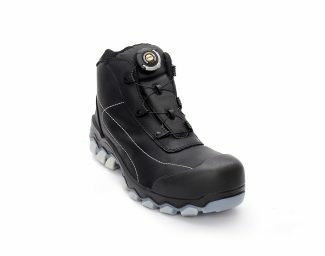 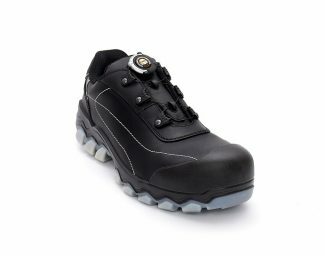 Even the internal insole has been specially developed for this line; made of antistatic polyurethane by a process of thermoforming which guarantees a better adaptation to the curves of the ball of the foot and thus a perfect stabilisation of the foot inside the shoe; it also stands out for the non-slip lining and for the shock-absorbing insert in the heel area.